This is the Unit -3 section of CSIR NET Life Sciences examination syllabus. 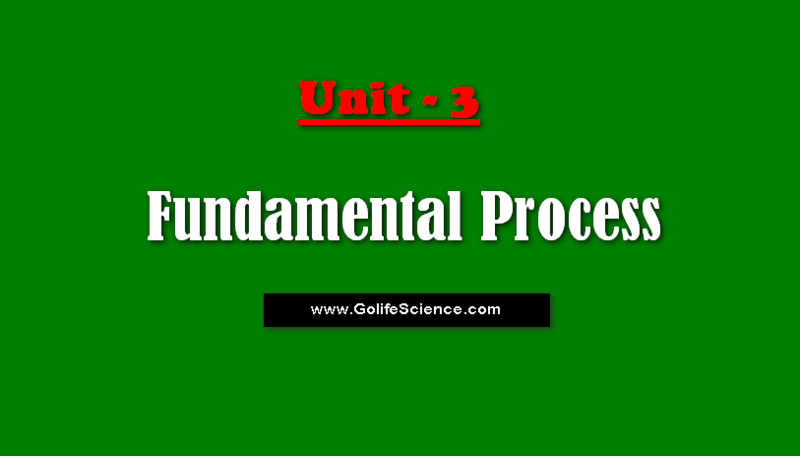 Unit name is Fundamental Processes. In this unit, Molecular biology topic was included. DNA replication, repair and recombination: Unit of replication, enzymes involved, replication origin and replication fork, the fidelity of replication, extra-chromosomal replicons, DNA damage and repair mechanisms. RNA synthesis and processing: Transcription factors and machinery, the formation of initiation complex, transcription activators and repressors, RNA polymerases, capping, elongation and termination, RNA processing, RNA editing, splicing, polyadenylation, structure, and function of different types of RNA, RNA transport. Protein synthesis and processing: Ribosome, the formation of initiation complex, initiation factors and their regulation, elongation and elongation factors, termination, genetic code, aminoacylation of tRNA, tRNA-identity, aminoacyl tRNA synthetase, translational proof-reading, translational inhibitors, post-translational modification of proteins. Control of gene expression at transcription and translation level: Regulation of phages, viruses, prokaryotic and eukaryotic gene expression, the role of chromatin in regulating gene expression and gene silencing.